Jo Heidebrink was born on May 5, 1942, in Adrian, Minnesota to Frank and Alberta Lenz Banck. She grew up in Adrian and graduated in 1960 from St. Adrian High School in Adrian. Jo then attended Nettleton Business College in Sioux Falls graduating in 1962. On June 8, 1963, she and Ronald Heidebrink were married at St. Adrian Church. Following their marriage, they made their home in Sioux Falls, SD until 1969 when they moved to Worthington, MN. In 1974 they moved to Pipestone for one year before moving to a home on Lake Shetek. In 1989 they moved to Slayton. Jo worked as a Legal Secretary for Roy Reitz and later for Merlyn Anderson. Jo retired in 2014. 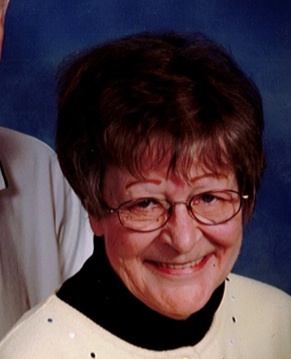 Jo passed away on Sunday, February 3, 2019, at the Murray County Medical Center in Slayton at the age of 76. She was a member of St. Ann’s Church in Slayton. In her younger days, Jo enjoyed attending her children’s sporting events, playing piano and playing Bridge. Later in life, Jo enjoyed spending time with family, cooking Ron supper, watching her soap operas and westerns like Gunsmoke and doing crossword puzzles. Survivors include her husband, Ron Heidebrink of Slayton, MN, four children, Mark Heidebrink and his wife, Staci of Rice, MN, Shari Flack and her husband, Greg of Slayton, MN, Steve Heidebrink of Chaska, MN, and Jon Heidebrink of Slayton, MN, seven grandchildren, Ashley Prelvitz and her husband, John, Jacob Heidebrink and his wife, Kari, Brittany Muecke, Garrett Muecke, Amanda Muecke, Nicole Flack, Tyler Flack and Connor Flack, four great-grandchildren, Bryden, Beckett, Sylvie, and Sully Prelvitz, two sisters and their spouses, Mary and Henry Schutz of New Prague, MN, and Lory and Roger Harsh of Arvada, CO. She is preceded in death by her parents and one sister, Maggie Howell. St. Ann’s Church in Slayton, MN on Friday, February 8, 2019, at 10:30 a.m. with Fr. Thien Nguyen officiating. The organist is Judy Andrews. The song leader is Sheila Crowley. The pallbearers are her grandchildren. Interment is at St. Ann’s Cemetery in Slayton, MN. Visitation will be on Thursday, February 7, 2019, at St. Ann’s Church in Slayton from 5-7 p.m. and also one hour prior to the services at the church on Friday. In lieu of flowers, memorials may be directed to Murray County Hospice.